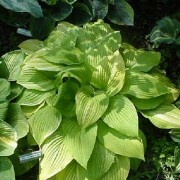 Very/Large: 29″ high by 61″ wide mound of huge (17″ long by 13″ wide) green leaves; slight corrugaton along the veins and a broadly oblong-ovate shape. 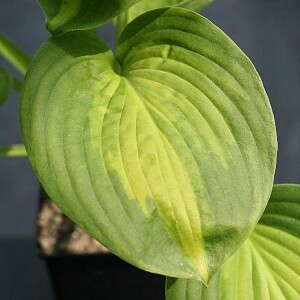 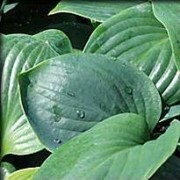 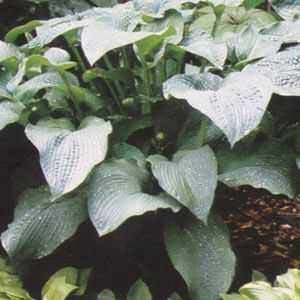 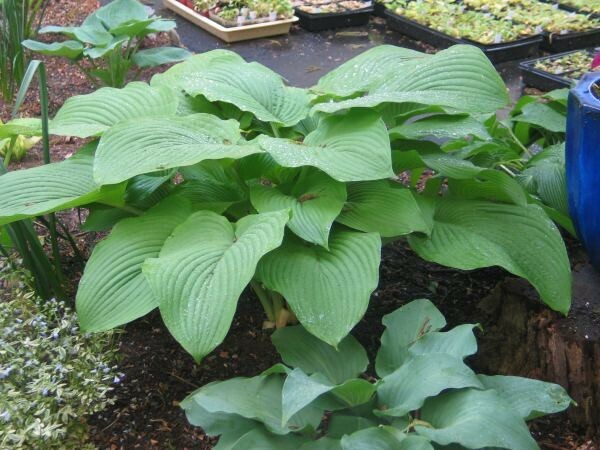 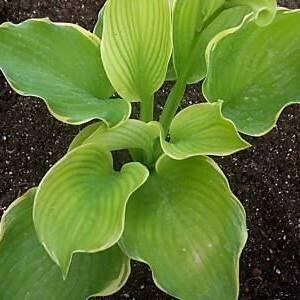 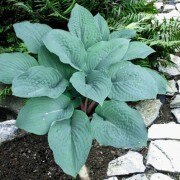 Abiqua Elephant Ears’ Hosta is one of the largest hostas in existence. 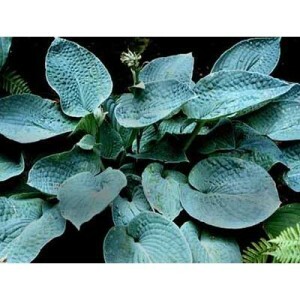 Leaves are blue-green, gigantic and resemble elephant ears. 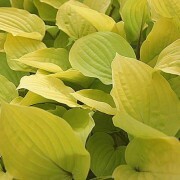 Flowers are pale lavender in July.